Many different types of enameling techniques have been used on jewelry and decorative objects throughout the centuries. Enameling imparts color primarily to metals, but can also be applied to other varied materials. Enamelwork is glass that is fused to a surface using high heat thus giving it durability. As durable as they are, however, these beautiful finishes can be chipped when they are not handled with care. Not all techniques described as such in relation to antiques and collectibles are indeed enamels though, as is the case with “cold painted” work as described below. There are also varying levels of quality to consider among the varied techniques. Read about a few of the enameling techniques used to add color to varied types of vintage jewelry and decorative arts. 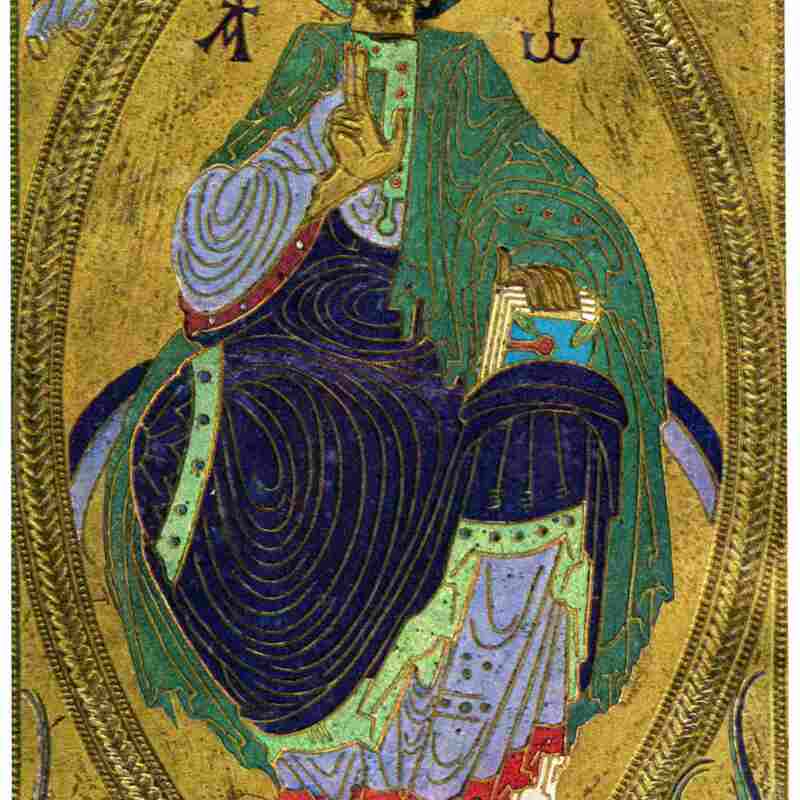 Plaque binding (plaque de reliure), champlevé enamel on copper, 12th century, (1931). Champleve is the French term for “raised field.” While cloisonné (learn more below) uses small pieces of wire attached to metal to form fields for filling with enamel, this technique is a bit different. Depressions are made in metal forming the cells instead, usually by etching or carving the surface. The metal left showing once the enameling is complete, therefore, is generally thicker and more part of the pattern in comparison. Sometimes the terms cloisonné and champlevé are used together to describe the same item by marketers, although that's not entirely accurate. For this enameling technique, a design is created using fine metal wires fixed to a metal plate. The spaces, or cells, are then inlaid with colored enamel that is fused to the background (in contrast to plique-à-jour described below, which lacks any backing). 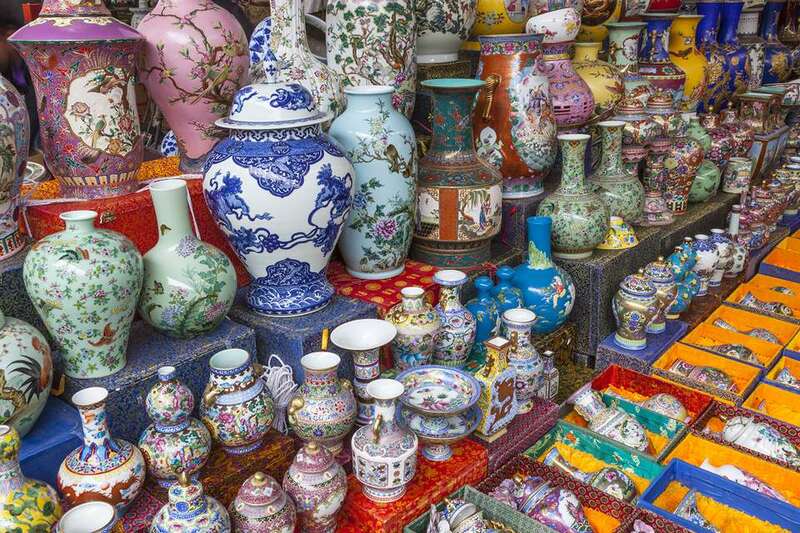 While the cloisonne method is a very old one — dating back to ancient Greece, Rome, and Egypt, as well as 4th-century Byzantium — the term originated in the 1860s (cloisonné means "compartmentalized" or "partitioned" in French). European interest in Asian decorative arts during this period sparked a vogue in enameled jewelry, though the Chinese and Japanese often used the technique on tableware and art objects as well. Victorian Black Glass and Cold Paint Enamel Sash Pin, c. 1890s. Sometimes referenced simply as cold enamel, this type of décor is applied to give jewelry the look of enameling with the economy in mind. Whether accomplished by using paint or some plastic (rather than glass as with other kinds of enameling), this is a technique most often used on late 19th and 20th-century costume jewelry that was relatively inexpensive when it was new. Cold painted color sits on the surface of an object. It is not fired on, so it generally does not wear as well as other enameling techniques. This type of décor can scratch and chip fairly easily, even when coloring sterling silver pieces. Russian Card Case with Guilloché Enamel, diamonds and rubies. The design in this type of enameling is created by machine engraving geometric patterns or wavy lines into a metal surface and topping it with transparent colored enamel in shades ranging from pastels to bright, vivid hues. It was used on fine jewelry and decorative objects made during the Victorian and Edwardian eras. Pieces can be painted on the surface to add additional embellishment, or metal findings can be affixed over the enameling to adorn them further. In the 1920s and ‘30s, similar techniques were used to make loose powder compacts. Lower quality costume jewelry made in Victorian and Edwardian revival styles and lower quality powder compacts can have simulated guilloché enameling. These are most often made using a thin plastic overlay and can be detected upon close inspection. True guilloché will have a glossy finish to the surface where pieces made with plastic will often have a dull look about them due to wear scratching that comes with age. Plique-à-jour enameled brooch crafted of gold and diamonds. This is a technique in which translucent enamels are fitted into a pattern created by an open lattice of thin wires or metal work, sometimes resembling honeycombs. Because the latticework has no backing, light can shine through the enameled design creating the effect of a stained glass window. This technique was developed during the Renaissance — Cellini created many pieces — and was rediscovered in the mid-19th century (Russian artisans used it to adorn many pieces of tableware), and is highly typical of jewelry made by Rene Lalique and other Art Nouveau jewelry artisans. It is one of the most challenging enameling techniques to master, and the technique is highly prized among collectors of fine antique jewelry.